Is the next generation of leaders flourishing among us or are they being driven away or held in captivity to our old ways of doing things? This will assure them of support and help them to continue the work that Jesus began to do and teach us about! We will need to allow them their vision and their God inspired methods. 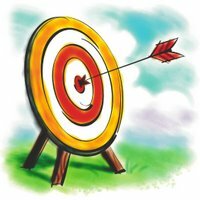 New wine needs new wineskins! God is raising up young Davids and Debras. 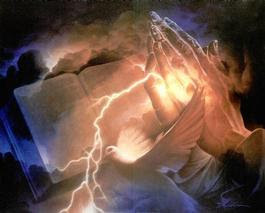 They should be doing Great exploits for God and not starting God's work over again. This article was previously titled "The Imprint and Authority of His Presence." This reprint contains more of the material originally given as part of my introductory teaching in the area of Fulfilling the Vision and Assignment You Were Created for Series. to fulfill the assignment he has birthed within us. If we are not careful we will look for solutions or formulas that others have found to fulfill the dream or assignment which God has placed within them. We seem to be comforted by quick fixes and pre-packaged answers. The statement below sums up what we experience. "God has Called, You have answered yes, You have been preparing, Now you want to Build it, but where do you start? " So how do we Go From The Dream or Vision to Reality? To begin I have listed some brain storming notes on going from the dream to the reality. These are from my teaching notes from a college class I taught on "Planting a Church and Starting a Ministry." What do we need to think about when starting or renewing a ministry or church? Define who and what you need to make it happen. Job Descriptions and the gifts and skills necessary to do them.. Understand the Financial reality. Where will the money come from? What is next as you grow? This all sound like the beginning draft for a good teaching, but there is a missing element without which this is a person or group of people attempting to fulfill the Supernatural Vision God has given them with the plans and ideas of mankind. It might even be a good plan, but without the "Fire of God's Presence", it is a plan that will not produce the fruit God has desired! Throughout the Bible fire is seen as bringing purity, representing the glory of God, or the results of God's presence. In the Bible whenGod's people seek Him for solutions, wisdom and deliverance he provides the plan and resources for victory. Today we are often so busy 'doing the work of the ministry', that we fail to spend time in with God's where the Fire of His Presence can accomplish its work in making us like Him. What do I mean by this? The following points will help us in our understanding. 1. When Moses came down from the mountain after spending 40 days in God's presence or Glory his face was aglow 'literally' with the Glow or Glory of God's presence. 2. In the New Testament, the word that is used when speaking about the baptism in the Holy Spirit, has within it the the imagery of a garment which is dipped in dye or the making of a pickle from a cucumber. 3. Although there are certain text that speak clearly to the baptism in the Holy Spirit and Fire there are additional text which speak about additional fillings with the Holy Spirit experienced by the disciples. From these verses we can say that the more continously you are filled with His Spirit the more like Him you will become. The more we are in His presence the more we not only become like Him but the more we know His heart and His mind and His ways. This knowing the Heart of the Father, the Mind of Christ and the Power of the Spirit comes as we learn of Him and obey what we see and know Him to do and be. His Word plays a key role in this but we must be wise in using His Word as it can be a weapon of both life and death. We must read, meditate on and study His word. Prayer plays a important role as well. When we communicate both in prayer and fellowship with him by meditation on His Word and His Ways we build a relationship from which we can know His heart. Worship, praise and adoration in word, in song and with instruments lift Him up and help us come into proper alignment with Him. We could go on to speak of all of the Spiritual disciplines, but the point is, we must have a relationship in which our whole being, Spirit, Soul (mind, will + emotion) and Body is moving toward maturity with Him. This relation must be on His terms as declared in His Word (the Bible). 1. We are in the world but not of it. 2. In Him we live and move and have our being. It seems that we want a relationship with God that is based on our preferences, but a review of the interactions of God with people in the Bible are varied in many ways. What is never varied is that He is a Supernatural being interacting with His creation. So, let us make Him and not our labor for Him our number priority. So, let us spend time in His presence as outlined above. So, let it be known far and wide that we continue this relationship through out the day and not just in a devotional time or place. In closing we can have an exciting relationship with Him every day all day without being so 'Heavenly Minded that we are no Earthly Good." The more we are in His presence the easier it is to hear His voice, know His ways and see His power displayed in the lives of people. Then His plans and the Visions for ministry that He gives us will have the Owners Authority and Imprint! This teaching is also important for groups of believers as well as individuals. The major difference between the individual and group application of this teaching is that the birth of and fulfillment of the assignment within a group requires an understanding of the unique combination of gifts, personalities and experiences within the group and a willingness to seek the Lord together for the carrying out or fulfillment of that assignment or vision. If we believe that He is the head of the Church or Body of Christ then we must also believe that it is from the Fire of His Presence that we will receive all that is needed to fulfill His vision and assignment for each local group of believers! Effective leadership-whether on the job, in the community, at church or in the home-starts on the inside. Before you can hope to lead anyone else, you have to know who you are. Every leader must answer two critical questions: Whose are you going to be? Who are you going to be? One deals with your relationship to Christ. The other with your life purpose. 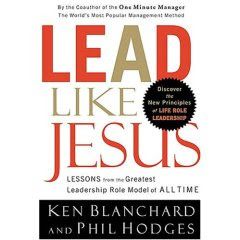 With simple yet profound principles from the life of Jesus, and dozens of stories and leadership examples from his life experiences, veteran author, speaker and leadership expert Ken Blanchard, guides readers through the process of discovering how to lead like Jesus. It really could be described as the process of aligning two internal domains-the heart and the head-and two external domains, the hands and the habits. These four dimensions of leadership form the outline for this very practical and transformational book.